What should fantasy Premier League managers expect for gameweek 32? In short, expect goals. Last week’s matches saw teams score a total of 35 goals. The week before that there were 31 and in week 29 there were just 19. In week 29 there were 9 clean sheets kept including a 0-0 draw. This was followed by 5 clean sheets in week 30 and only 4 clean sheets last weekend with one 0-0 draw. So, as you can see, clean sheets are coming at a premium. With that in mind you might want to consider who you put in for you defenders and goalkeeper this weekend. I am planning to go with three at the back and load up on fullbacks that will give attacking value. By now most FPL managers have at least one of Ivanovic, Bertrand, or Clyne and I expect all three of them to do well this weekend. Southampton have probably the best chance to keep a clean sheet making Kelvin Davis a great pick for goalkeeper. Arsenal’s David Ospina is a good option as well considering the Gunners recent form and opponent in Burnley. This weekend’s set of fixtures gives some excellent midfield options and a great chance to find some value. There is plenty of value to be found in the Crystal Palace midfield and I’m expecting them to score goals. Out of Yannick Bolasie, Wilfried Zaha, and Jason Puncheon I am favoring Puncheon, but each of the three have been in good form and should do well. Matty Phillips is another midfielder who has started to pick up points in recent weeks. QPR need wins badly and will continue to look to him to provide for Charlie Austin up front. It certainly appears that Chris Ramsey has them playing all out attack and could trouble Chelsea this weekend. This makes both Phillips and Austin decent picks, however, it should be noted that QPR do not have any games being played in week 33. Elsewhere in midfield is the gradual consistency of Swansea’s Ki Sung-Yeung. His goal last weekend puts him up to 7 on the season. He’s been a steady fantasy player all year long, but every couple of weeks has been able to put in a solid performance. In fact, he’s put up more fantasy points in the last five matches than his midfield counterpart Gylfi Sigurdsson, who finally got his first assist of 2015. With Liverpool taking on the limping Newcastle United on Monday night, there are several quality players to look at picking up including Simon Mignolet, Alberto Moreno, Jordan Henderson, and Raheem Sterling. At this point I would say that Daniel Sturridge is a risk considering his spate of injuries in recent weeks, but he can always be a goal scoring threat when he plays. 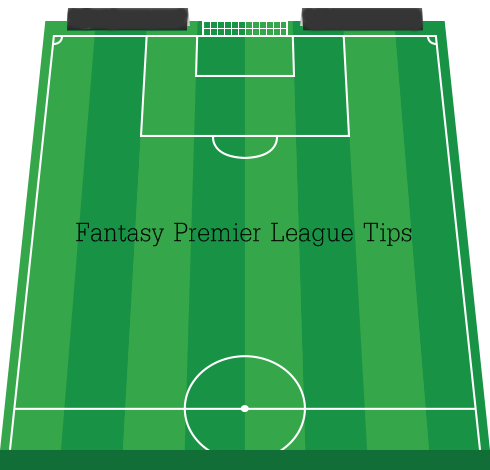 For this week the midfield is probably your best bet for picking up fantasy Premier League points. Forwards this weekend are looking scarce. Charlie Austin could trouble Chelsea’s backline and Shane Long has looked good in recent weeks and both could be in for goals. Olivier Giroud’s scoring form continued last weekend and facing off against Burnley’s back four could mean more goals for the Frenchman. Harry Kane bearing down on Aston Villa should also be in for a goal or two. The two London based strikers are at the top of my FPL player rankings for forwards this week and I would expect them both to get at least one goal apiece which also makes them excellent candidates for captain and vice-captain. If you are really looking for good value, and a possible swap for Austin, picking up Crystal Palace’s Glenn Murray would be an excellent option. He has scored 2 goals and gathered 2 assists in the last 2 games. Additionally, there is the resurgence in form of Christian Benteke whose hat trick in midweek has taken his tally in the last five matches up to 7 goals scored. Loic Remy would be a great addition for those preparing for Chelsea’s double match week coming up in gameweek 34. With Diego Costa out Remy should get some minutes, even if it is coming off of the bench. He’s a quality striker who can get goals, especially against the leaky defense of QPR. That wraps up my tips for gameweek 32 in the fantasy Premier League. Be sure to use my EPL Predictions to look at the fixtures and matchups for the weekend. Also check out my weekly player rankings and stay on track with injuries at Premier Injuries. Follow Premier Soccer Chat on twitter and stay updated with all the latest news and updates.